Started in 1994, Amazon has gone a very long time - over 20 years without making real money. Jeff Bezos, and his shareholders, have to be the most patient people in the world. Now it appears that the patience has paid off since Amazon just surpassed Berkshire Hathaway and Exxon Mobile as the 4th most valuable company in the world after Apple, Alphabet (Google), and Microsoft. How did Amazon do it? Most think of Amazon as an online retailer since the company branded itself that way and lots of us buy products from Amazon on their gigantic e-Commerce Web site. Amazon just passed Walmart a year ago as the world's biggest retailer. No surprise there. Unless you need to touch, feel, and try on the merchandise, Amazon is perhaps the most convenient place to find and buy products ever invented. Marketers know that Distribution's overall added-value function is convenience - making it convenient to find, buy and use products. That's not all. Buyers can use the site to read reviews, receive suggestions, and comparison shop for better prices. With increasing disincentives to go to physical stores - traffic, parking, wasted time, and opportunity costs, Amazon has gained the upper hand as more and more people feel comfortable buying online. However, since Amazon offers ultra competitive prices on small margins and most likely loses money on small orders, this is not how they have realized a boost in profits of late. While continuing to grow its online retail business has been a great revenue generator, what seems to be contributing the most to its profits is Amazon Web Services, or AWS. Started in 2006, this part of Amazon has consistently grown to capture a dominant 31% share of the cloud computing infrastructure market. To put this in perspective, its nearest competitor - Microsoft - has 9% of the market followed by IBM (7%), Google (4%), and Salesforce (4%). Using a rule of thumb devised by the Boston Consulting Group (companies that have ≥20% market share are almost always profitable, it seems that Amazon's initiatives in cloud computing and its other B2B activities are likely to continue to pay off handsomely. In an era where too many people and businesses are in a rush, Amazon shows us that developing a powerful brand and being patient can pay off. It also teaches us that the most profitable parts of our businesses can come from places we might not expect. 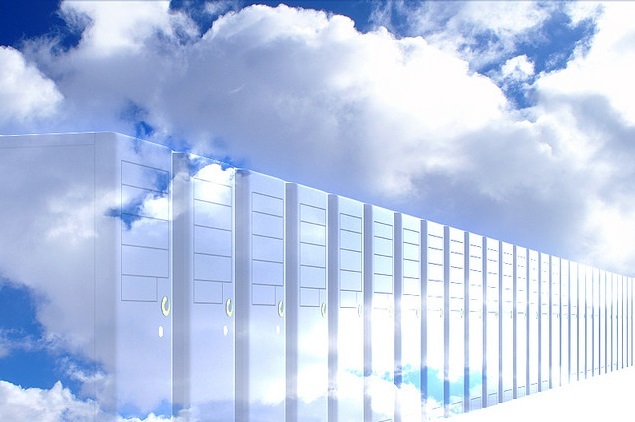 Amazon delved into cloud computing to solve its own infrastructure scalability problems. It had a sufficiently good marketing information system to help transform this internal solution into a money-making product it could sell to others. The high-level of customer service it has been providing to customers since day one has protected its brand and enabled it to grow. It has also allowed its stock price and price-earnings ratio to reach and maintain stratospheric levels. Right now, it appears its cloud is producing lots of rain, and in the parlance of marketing and sales, that equates to lot of money.